Hamburg-based Turkish-born artist Sakir Gökçebag creates fun installations using everyday objects. 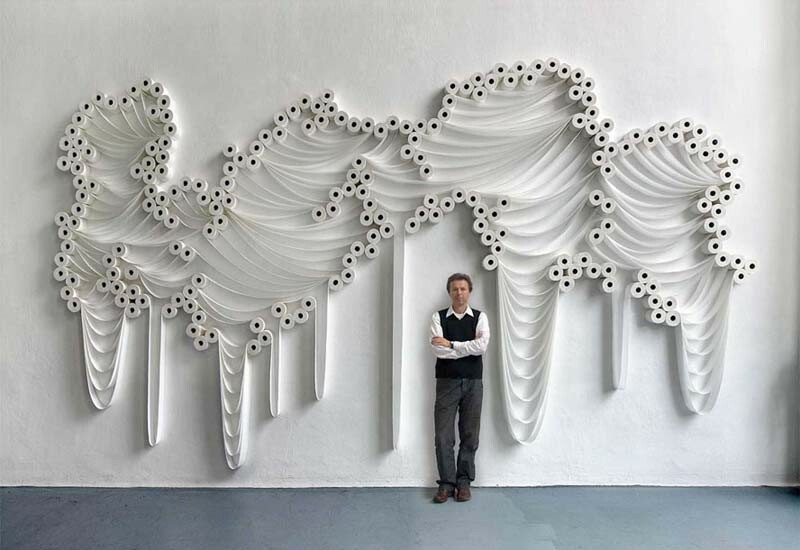 His toilet paper roll installations are part of two series: Trans-Layers I and II. 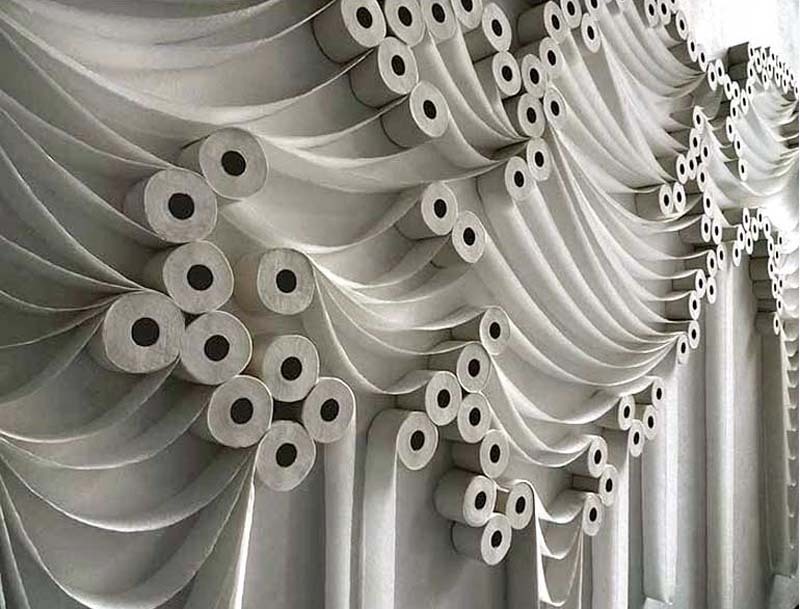 The abstract shapes and movement that Gökçebag is able to get with these rolls are at once playful and elegant, not to mention completely surprising. And it doesn’t stop at toilet paper, no siree. Gökeçebag’s other works utilize everything from shoes, belts, umbrellas, brooms, measuring tapes, levels and other household tools, extending to his series of photographs of uniquely cut fruits & vegetables. There’s much more to see on his site here. This entry was posted in Art, Fun, Just Plain Cool, Photography, Pop Culture, Stuff We Like. Bookmark the permalink.